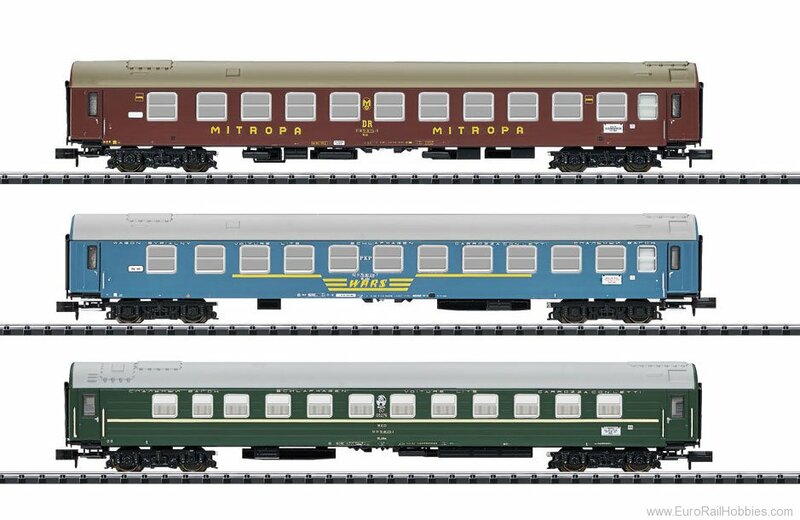 Prototype: 3 express train sleeping cars consisting of the types WLAB for the DR, WLABu for the PKP, and WLAB 52 for the SZD. Use: High-quality long-distance service, here in the EC 41 "Moliere" around 1991/1992. Model: The express train sleeping cars have close coupler mechanisms. Total length over the buffers 306 mm / 12".